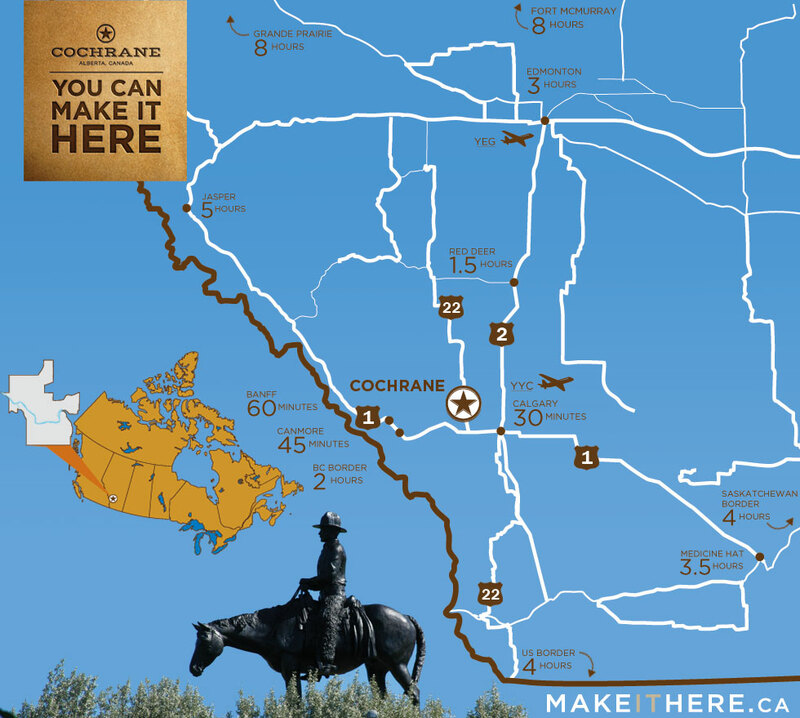 Cochrane offers a fast track to the Calgary region, the beautiful mountains and Provincial parks, major highways and rail lines. Distribute and receive products easily. Attract top talent. Visit Calgary area clients in under an hour – or travel to clients from the regional airport located just 30 minutes east.